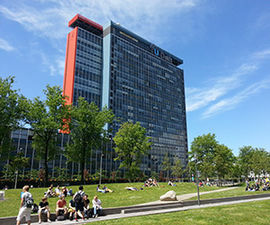 The INSYGHTLab of the TUDelft is a highly visible facility which hosts experimental installations for display and interaction hard- and software. 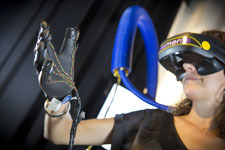 This showcase lab facility is focused on interdisciplinary research on computer vision, interactive intelligence and visualization. 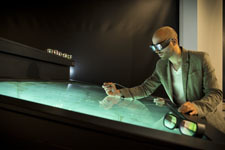 The INSYGHTLab hosts multi-camera experiments for 3D scene reconstruction, which enables the building of equipment necessary for perception-related research. Research on the usage of these camera’s and development on these new technologies will contribute greatly to the televisions of the future. We foresee these new televisions to be highly interactive screens, giving spectators the sensation of being part of the actual scene. The INSYGHTLab offers humanoid robots essential for the advancement of interactive robotics. In our lab we work to create robot companions for children with chronic illnesses and for elderly to enhance quality of life and self-reliance. The INSYGHTLab contains the world leading automated negotiation technology GENIUS that facilitates research into negotiation bidding and accepting strategies and opponent models. The technology of GENIUS underlies our negotiation support software the Pocket Negotiator that is currently being developed for the layman negotiator. The INSYGHTLab offers all facilities for the development of virtual reality exposure therapy for mental health issues like fear of flying, post-traumatic stress and social phobia. From the lab, this proven-technology is brought to therapeutic centres to benefit people requiring help for such mental issues. 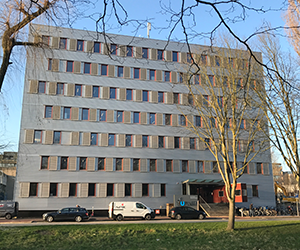 The INSYGHTLab also marks the start of a competing and collaborating Interaction and Vision facility for other, similar-minded labs, around the TUDelft and within the Netherlands. By having combined the diverse set-ups and sharing the same physical equipment, the (young) researchers learn from each other’s discipline and expertise. The goal is to provide multi-media capable machines and software for multimedia content creation purposes. Moreover, the SurfNet LightPaths are in a straight line directed towards the newest generation of graphical servers, giving room for an interactive visualization of physical simulations and geospatial-data. For more information, please contact INSYGHTLab@tudelft.nl.